Sprint EVO gets OTA Android 2.2 update | Android Blast! 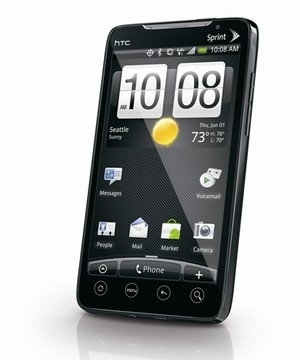 Sprint has started rolling out their Android 2.2 Froyo update. The update goes out over the air and takes about 15 minutes to complete. If you have not been notified of the update, go to Settings > System Updates and force the phone to look for an HTC update manually. Once the update is complete you'll notice a nice speed increase as well as a few new features. Once new feature is contact pictures show up in the Gmail app, although they do take a second to appear (slow). There is a new Flashlight app that allows you to use the LEDs as a flashlight. The calendar now integrates with Facebook so you can see events and birthdays from your friends. The compose areas are now bigger giving you more room to type those messages. I'm sure we'll find even more features but that's it for now.